Everyone received a NYX butter gloss in their June bag, however there were 3 different shades sent out. I received the colour eclair and I love it. The shade is very close to my natural lips, however, its a little more pink. It goes on smoothly, it's not too sticky and smells like cupcakes. I love it! I would definitely repurchase this in the future. I have used liquid liner in the past, and I was never good at applying it. The line never came out straight, it dried super fast. I just wasn't a huge fan. As I got more comfortable in applying a liner, I went from a pencil to a gel liner that I applied using a separate brush. I've adapted to this technique and still line my eyes this way. Anyway, when I found out I was getting a liquid liner, I was a little skeptical. But I read nothing but positive things for the liner. When I finally received it, I couldn't wait to try it. Apparently the years of practicing my gel liner had paid off. 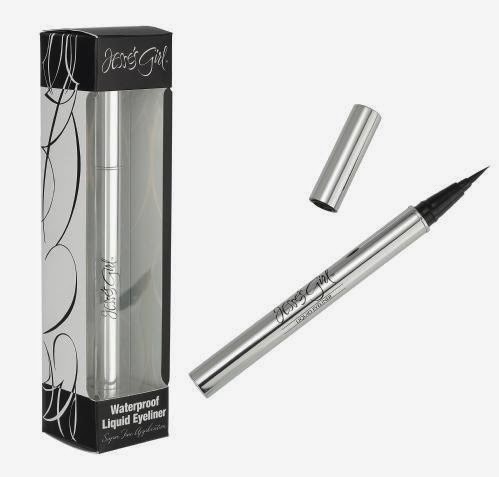 Using this liner was so easy, the tip glides smoothly, the black is intense. I love it! If I can find this in Canada, I will have to buy more. I find myself reaching for this pen all of the time. It's amazing! While I was looking at the sneak peeks for June, and saw there were make up remover wipes, I knew I had to have them. So I was really hoping to get these in my bag. I had previously purchased Ponds wipes and I hated them. They were much too wet and soapy. 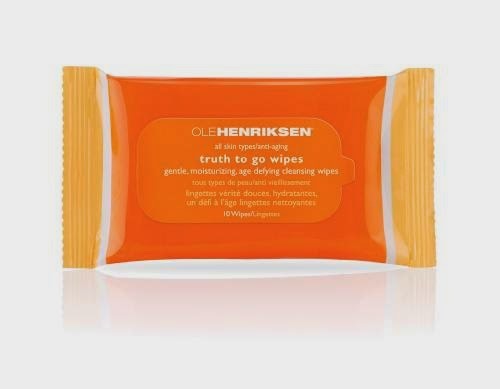 This pack was coming to an end, and the Ole Henriksen wipes came. There were only 10 wipes in the pack, so I have been using them sparingly. First opening them, I noticed that they smelled absolutely amazing. The scent is a mix of vanilla and citrus. It just smells so clean and refreshing. Now I tried using them to remove my eye makeup, and it didn't budge. So for straight make up removal, they aren't so great. I just use them now to wipe my face after washing to make sure I got all make up off my face. I would probably purchase another brand before I would purchase these. But they smelled so good! Yes. This product works! It smells like a tropical vacation, with notes of pineapple and coconut. If I could spray my whole body with it, I would! My hair is already naturally wavy so the spray just enhanced them. 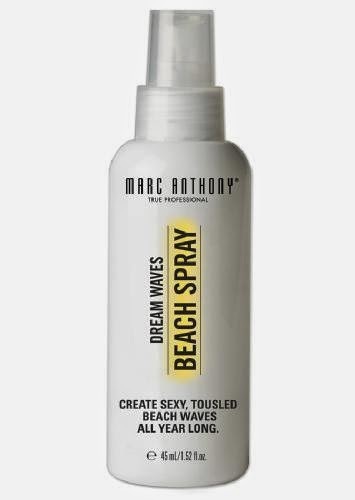 I prefer this over the gel and hairspray I would usually use to keep my hair wavy all day. The only downside I found with this was that it made my ends look dry. I was advised by a member on MakeupTalk forums to use a tiny bit of hair oil first and that should stop the look of dryness. I haven't had a chance to try that out yet, but I'm sure it works. Hair oil is an amazing thing! Would I repurchase this in the future? Maybe. It really depends on the cost! Last but not least, I was one of the unfortunate people who received this mascara in their bags. I read on the Ipsy facebook page that this mascara smelled like burning rubber. People were outraged. I wasn't sure if I should be worried. I waited until I had it in my hand to make a decision. I must say, the mascara smelled nasty. To me it smells like tar, or melting plastic. It's very bad. Not just that, but mine was dried out. So even if the mascara didn't smell terrible, I couldn't try it because it was dry. I threw this out in the garbage. I have received BAB products in two other bags (the one stick and a lip crayon) and I hate them both. A lot of people are unhappy with their products. I hope ipsy stops sending them too. This was my actual bag for the month of June. I was impressed with everything except the mascara. June was a 4/5 positive product month for me! If you see above I received an extra lip gloss in my bag. That is because I finally had enough points to redeem for a full size product. I redeemed mine for the Jouer gloss in Peony. It looks like a bright pink, but it actually goes on quite sheer. Its not sticky, and has no fragrance. I really like it, its very pretty!